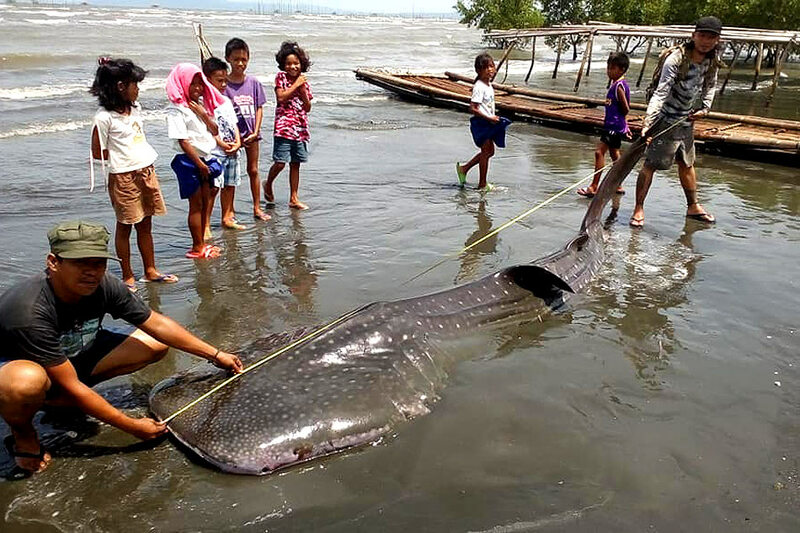 MANILA - A biologist and bone collector who performed a necropsy on a whale shark that washed ashore in Tagum City, Davao del Norte this week found several pieces of plastic in the marine creature's stomach. 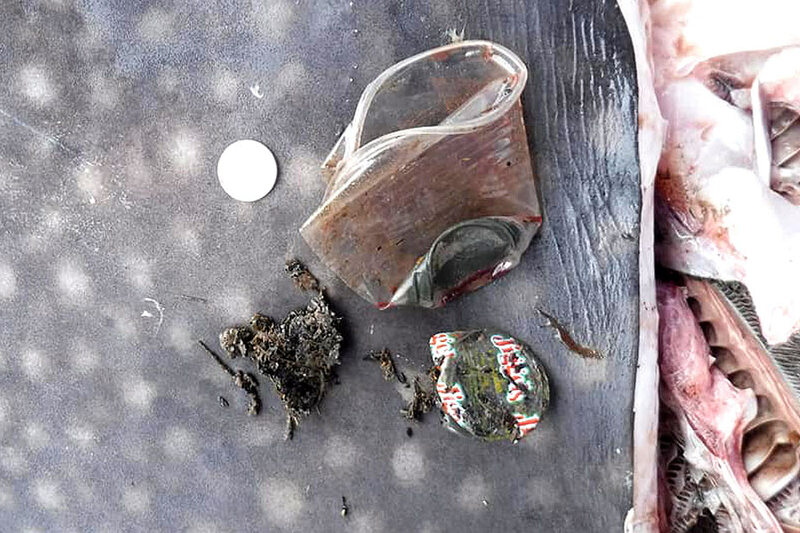 Darrell Blatchley, an American who is based in Davao City, posted on Facebook photos of the plastic cup, food wrappers, and other pieces of plastic that he found in the stomach of the 14-foot (4.3 meters) juvenile whale shark. 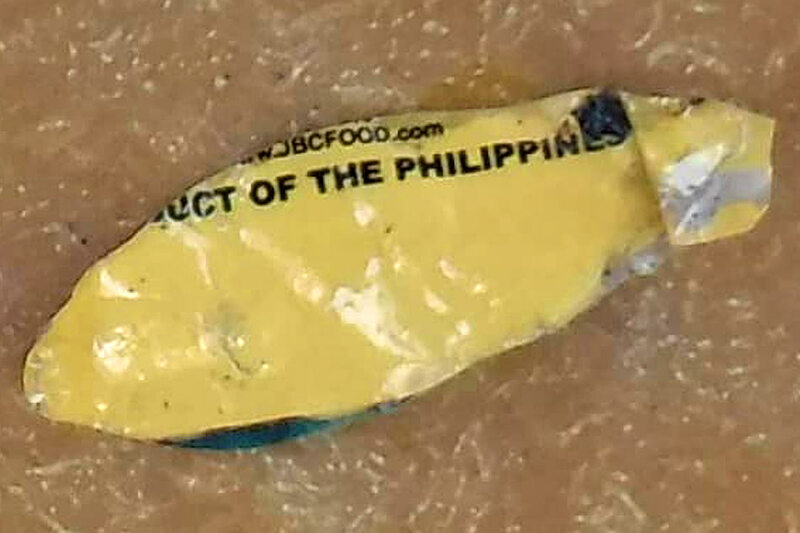 In an interview with ABS-CBN News, Blatchley said he was certain that the ingestion of these pieces of plastic caused the death of the whale shark. "Yes. The blocking of the gills and stomach would cause it to become weak and die," Blatchley said. He said this was the third necropsy he had done this year on a large marine creature. A dolphin had earlier died after getting caught in fishing nets, while a pygmy sperm whale was also found with plastic in its stomach. 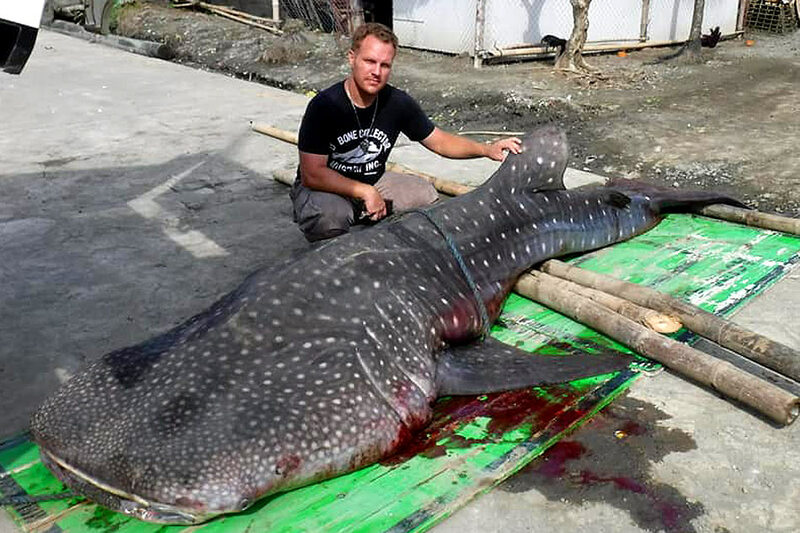 Blatchley had also participated in the necropsy of a 38-foot juvenile sperm whale which washed ashore in Samal Island in 2016. 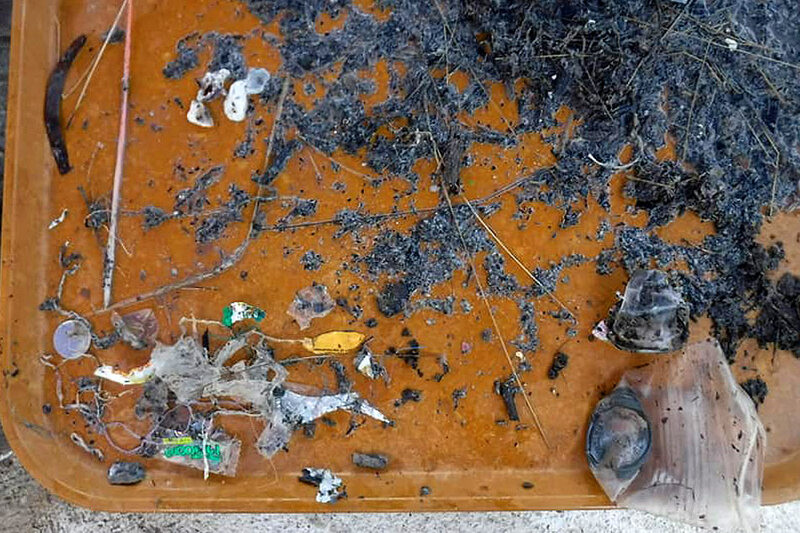 Like the whale shark found this week, the dead whale found then also had pieces of plastic in its stomach. He said people need to reduce plastic use and dispose of trash properly to help prevent more marine creatures from dying of plastic ingestion. "It can change. But if this momentum is lost it's a waste," Blatchley said. A 2015 report by the environmental campaigner Ocean Conservancy and the McKinsey Center for Business and Environment listed the Philippines among 5 Asian countries accounted for up to 60 percent of the plastic waste leaking into the oceans. The others are China, Indonesia, Vietnam and Thailand.